My client thought her grandmother’s antique strudel board would make a perfect desktop for her laptop. 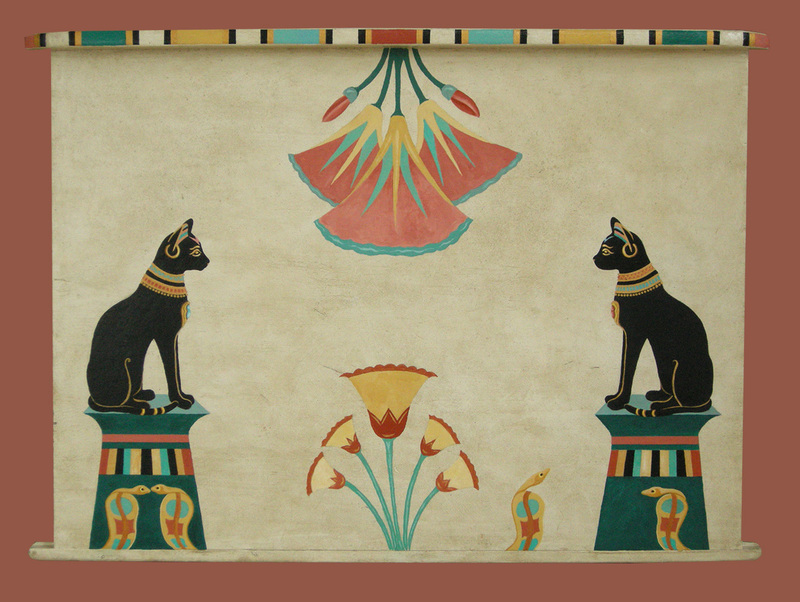 She wanted an Egyptian motif that featured black cats, snakes, papyrus and lotus flowers. I believe I can say mission accomplished.